Anna and her go everywhere pearls. Today’s doll is another of my longtime favourites. Barbie for President 2000 came to me via eBay from the USA. Anna loves her pearls and never takes them off. Previous Someone’s poisoned the waterhole! She is a stunner! even prettier than my similar Avon 1998 with the pink/black 2pc. suit. (Plus yours has bangs), like my 2000 Barbie graduate. (Maybe I will cut her long hair as I love the shorter hair). The dress on the left is lovely, and I love the pink open toed shoes! Classic Barbie at her finest. 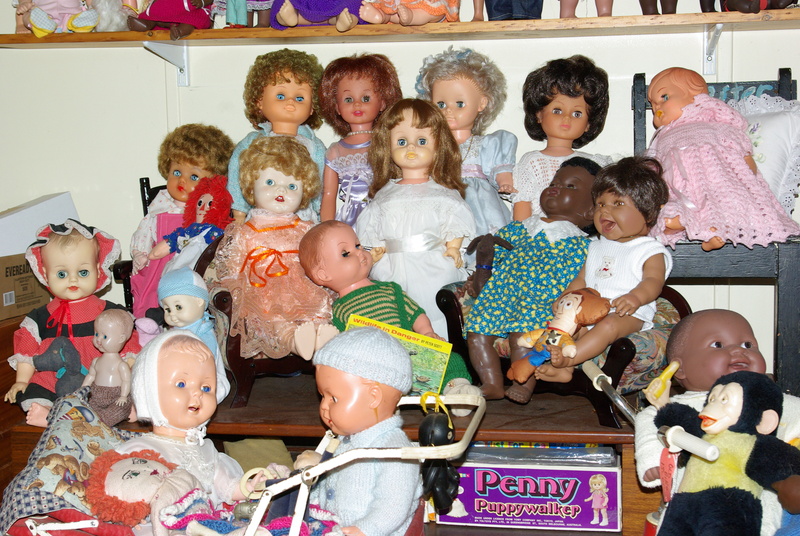 I didn’t think I’d ever follow a “doll” blog until I met you in Cyberspace. This doll is gorgeous! I do love a girl who knows how to wear pearls. She certainly does know how to wear pearls. She came with two outfits, a royal blue suit and a red evening gown so she was a girl for every political persuasion.